One of the things that stroke me during our trip, was the genuine kindness, helpfulness and curiosity by the locals. And Gjakova was certainly no exception. They were a group of the local men, gathered to talk about all and nothing. At the shoemakers. They were curious of who we were, where we came from, and maybe most of all; why we were there. They invited us to join them for a beer, and got their questions answered. 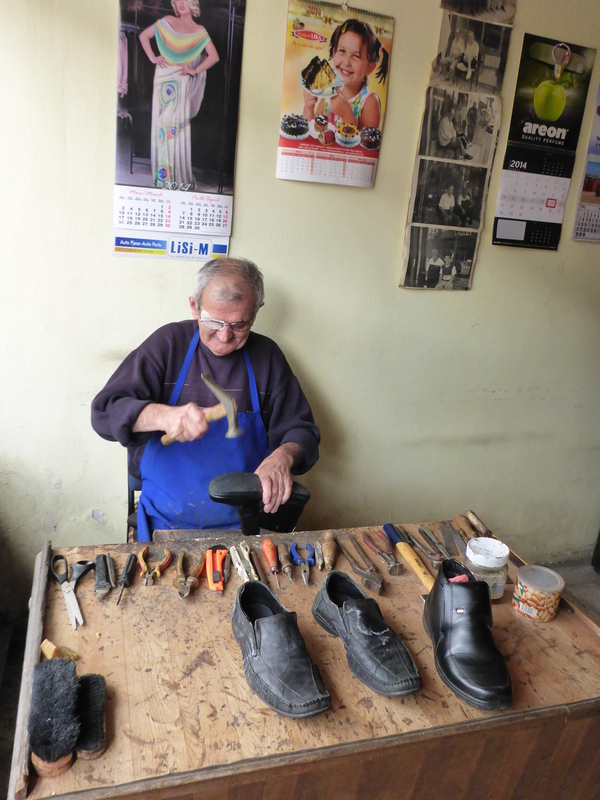 We joined in on their talk about all and nothing, while the shoemaker, a nice elderly man, occasionally went back to work. 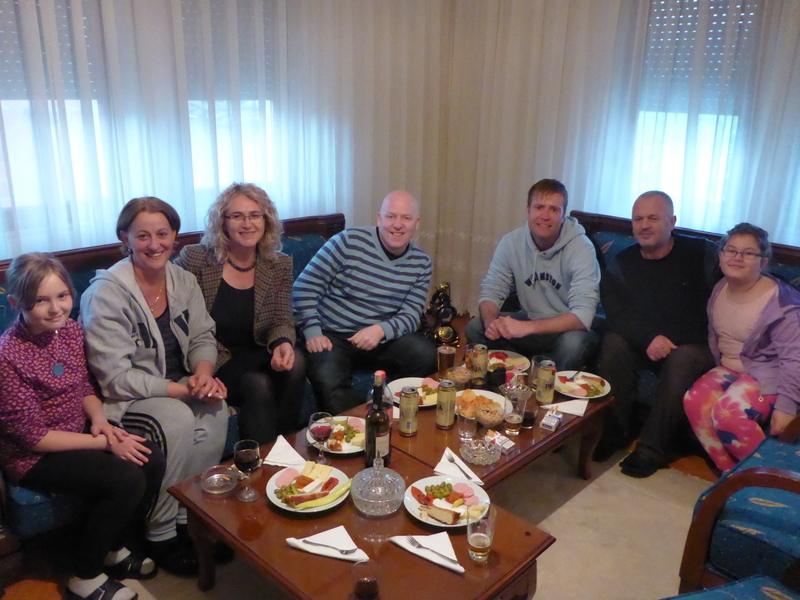 One of the men wanted to introduce us to his wife Valbona, that runs the organization “Active Women of Gjakova”, and suddenly we found ourselves at their house. One by one we were introduced to the family members, including extended family such as the sister, her husband and their children. The two daughters of Luli and Valbona, Adelita and Elena, were a little bit shy in the beginning, but soon softened up, and made us feel really welcome as guests. What we thought would be a short visit, ended in a late night, full of fantastic memories, genuine hospitality and new friends.